With all the excitement surrounding the U.S. Mint recently, some modern coin enthusiasts may not be aware of important new developments in the world bullion coin field. Canada: On the heels of the U.S. Mint’s recent announcement of a temporary halt in sales of American Silver Eagles due to very high demand, there are reports that the Royal Canadian Mint may also be moving to limit sales of its Silver Maple Leaf coins to distributors because of tight supplies. I contacted Alex Reeves, senior manager for communications at the RCM, who could not confirm the developments at the RCM apart from the high demand for the mint’s silver coins. 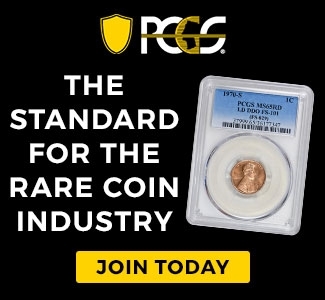 He stated that “Due to very high demand for SML (Silver Maple Leaf) coins, the Royal Canadian Mint is carefully managing supply to ensure all our distributors are served, and we continue to take orders.“ He added that the RCM does not disclose details about transactions between the mint and its primary distributors, of which there are few. Silver Maple Leafs are very popular with silver investors because they carry a slightly smaller premium than do American Silver Eagles and some other silver bullion coins. Mr. Hamill pointed out that physical supply shortages of silver have in the past often preceded spot price increases, so this situation bears watching, especially if you are a silver bullion investor. As many people, including myself, have noted, the disconnect between paper silver markets and the real world of physical silver trading will eventually result in much higher silver prices. As Mr. Hamill and others have noted, the laws of supply and demand will eventually reassert themselves when the manipulation of paper silver markets falls apart. That would presumably happen when a sufficient number of buyers opt to take delivery of paper silver contracts, and it is revealed that there is not nearly enough silver to cover those deliveries. On January 24 the U.S. Mint released the 2013 American Silver Eagle proof coin, and sales began without any interruptions of service on the web site. Buyers reported being able to place their orders without problems. Demand for this year’s coin could increase because of the halt in bullion coin sales from the Mint to its distributors, but the Mint would presumably not have gone forward with this release if it did not have a large supply of coins on hand. United Kingdom: The Royal Mint in the UK made some changes to its popular lines of Silver and Gold Britannias for 2013. These coins in the past were not made of pure silver and gold and contained less than a full ounce of the metals. The fineness used to be 91.67% but now it will be 99.99%. Starting with the 2013 coins that were released in late 2012 these coins will now contain exactly one ounce of pure silver, which is designed to make the coins more competitive with other world silver bullion coins. That strategy appears to be working since sales during the initial release period of the gold coins are up 60% compared to a year ago, and sales of silver coins are up a whopping 275% compared to a year ago, according to the Mint. In addition, in the past the reverse design of the coins usually changed each year, except for a couple of years when it did not. For the 2013 coin, the Mint has returned to the Britannia design first used in 1987, when the coins debuted. 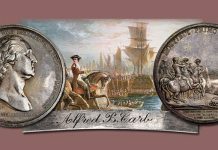 It is unclear whether the coins will in the future continue to use the same image on the reverse, or if the Mint will return to changing designs at least some of the time. 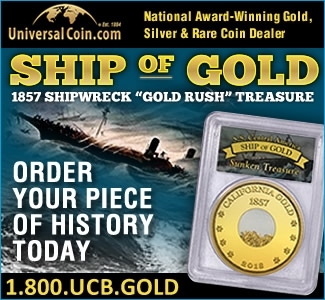 For reasons that are not clear, there are numerous reports that the 2013 coins frequently have quality problems. I can confirm that the two silver Britannias I purchased from an American dealer who usually sends me very nice coins did have some obvious flaws. My coins from earlier years are of higher quality. Long-time British dealer Lawrence Chard has written in detail about these quality problems. Mr. Chard reports that the Mint says the problem concerns how the coins are removed from minting machines. Mexico: Last year the Mexican Mint caused some excitement in the numismatic world by not releasing the full line-up of Proof Silver Libertad coins it usually does. No reason was given for the change. Silver Proof sets with one of each denomination of Libertad from 1/20-ounce to one ounce were not issued. Instead only the one ounce Proof coin and a special set which included that coin and the half-ounce BU coin was released. The sets were limited to 1,500, and it was recently revealed that only 4,200 total Proof coins were issued, including those in the sets. That is not the lowest mintage for a Proof Libertad, but it is low enough to drive prices for the coins higher. They were initially available for $70, and are now selling for $100-200. 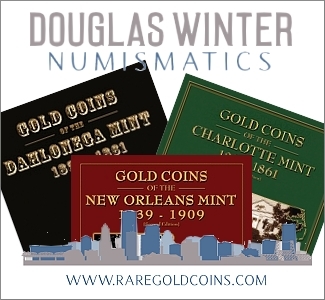 For 2013 the Mint will be returning to its normal release line-up with silver Proof sets, two- and five-ounce Proof coins, and the usual array of BU coins that includes everything from 1/20-ounce to five-ounce coins. There is also a breathtaking one-kilo coin that comes with a proof-like finish that comes in an impressive wood box and is usually limited to 1,500 units. The 2013 BU coins were just released, and I received some coins last week in all sizes except the 2 oz., which I will get with the proof coins that will be coming out in about a month. 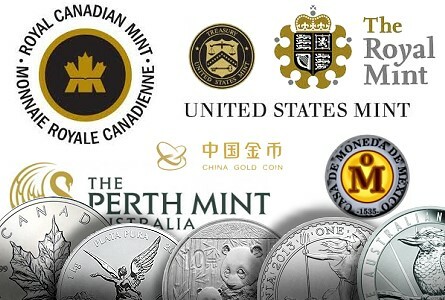 Australia: The Perth Mint in Western Australia came under a lot of criticism in recent months for not being as forthcoming about total mintage figures as collectors want them to be, so the Mint announced a change under which it will indicate total mintage for coins across all product options. More recently, the Mint has announced another change. It will no longer be reminting coins issued in past years that have not sold out of their total authorized maximum mintages. This is another step that collectors of Perth coins will welcome. China: China is once again issuing eight million of its popular silver Panda coins, as it did in 2012. That is a big increase over previous years, but as I explained last year, the increase is designed to meet the exploding domestic demand for silver and other precious metals within China. In addition, the 2013 silver coin for the first time feature three Pandas: two adults and a baby. 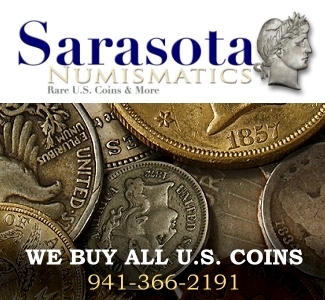 The coins are also issued in various sizes in gold from 1/20-ounce to one-ounce coins. Very good article as always, Louis. I especially appreciate the link to the Hamill article. I have to expect, given the huge demand for silver, that the available supply of Mexican silver bullion will sell out quickly. I doubt the Chinese pandas will be available for long in North America either. While I think the change in strategy was a good one for the Royal Mint to make, I have to think that some of these sales are also being generated by the current wave of demand for physical silver, especially given that the US silver eagle and the Canadian maple leaf is now hard to find. Britannias are a good alternative, as are Austrian silver philharmonics. I am thinking it’s just a matter of time before we start to hear of shortages of these bullion coins too, if this silver shortage goes on much longer. Thanks for your insightful comments, Capt. I think the Austrian coins are a good altenative because they have some of the lowest premiums over melt value and although they are not really collectible coins, they tend to strike up very nicely and are an attractive design. They are also available in gold in various sizes. Louis, Hello @ a good morning to you. Just have to say again that your writing and views, are top shelf, and I would be lost in this coin hobby if it wasn’t w/o your info/facts. Enjoyed this latest article, and with that I have to say this, on the latest RCM releases, WOW !. This has to be the best all around release of coins I have seen, since getting into the Canadian series/type’s of coins, which has been about 2/3 years or so. As you are aware of one of my emergencies in my household, my money is very tight. So with that, I am trying to see if I can put together something, or juggle something so that I can order all of these latest coins, minus the plat. Nice design, but unless you have a doctor’s income, most cannot afford it. But the 5-oz., “angel halo” reverse is awesome, as well as the 25th anniv.coins. Just one of the best all around release set of coins I have seen. I am thinking about $900 with all that I want to get. The penny roll I will have to take a pass on, as I ordered over a $100 worth of 2000 to 2012 roll of penny’s, from Gatewest, last year, and before the news was out, that 2012 was going to be the last year. The 2012 pennies were selling for over $30 at one point on Ebay, and gave many rolls out as gifts, and some came w/looks of bewildered and puzzlement, but enjoyed these looks, never the mind ! I think I still have 20 rolls of these. If you need a roll, I would be glad to send you one. The 5 ounce reverse is quite pricey, but I would not get this for investment, just to display below my TV stand. It would be nice if the RCM would mint a “Farewell to the Penny” in some type of High Relief-HR ! Sorry for this long off topic post, anyway, thanks Louis, and will be looking forward to your next article. Very informative article Louis. What is your take on purchasing the silver proof eagles (2013), as opposed to waiting on the two coin set later to be released in May or June of 2013? Could there be different dies used on the initial offering of the 2013 SP Eagles, verses the two-coin set? Thank you Louis. As always, we always enjoy reading the facts. Thanks to Dave and synoptic12 for their kind words. As far as the proof eagles, it’s definitely worth getting one if you are building a date set of them as I am. I got two in case they increase in value, but I think the two coin sets are more interesting, and they contain different coins– one reverse proof and one uncirculated that is supposed to be different from the regular burnished uncirculated coins. The main driver of the regular proof coins will be the price of silver, as the mintage will likely be high, but the sets will have numismatic value esp. as the coins are unique to the sets. if there is someone on this planet that says something more about the medal or coin …it is about Queen Victoria BHM # 2216 Bronze Rarity “RR” VERY RARE, 23.4 mm, 4.8gms by T. Holiday? issued by J.Hicks.